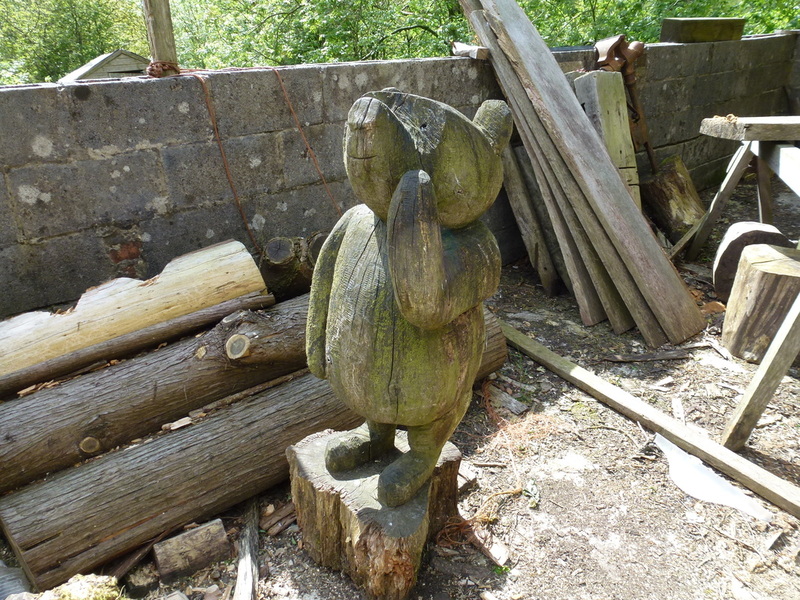 ​The day dawned sunny & bright which was a good omen for us. 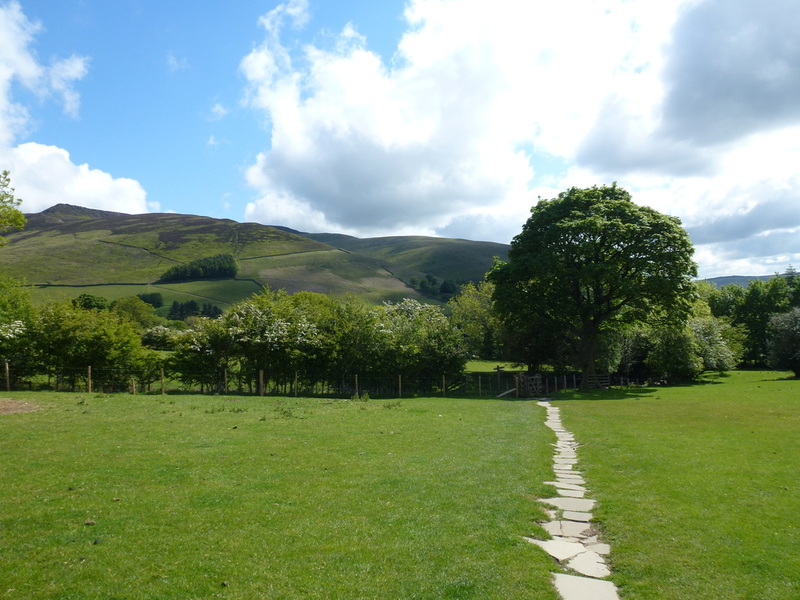 We were staying in Torside which is normally a stop off at the end of Day 1 but as we could find no dog friendly accommodation in Edale we arranged a two-night stay at The Old House. 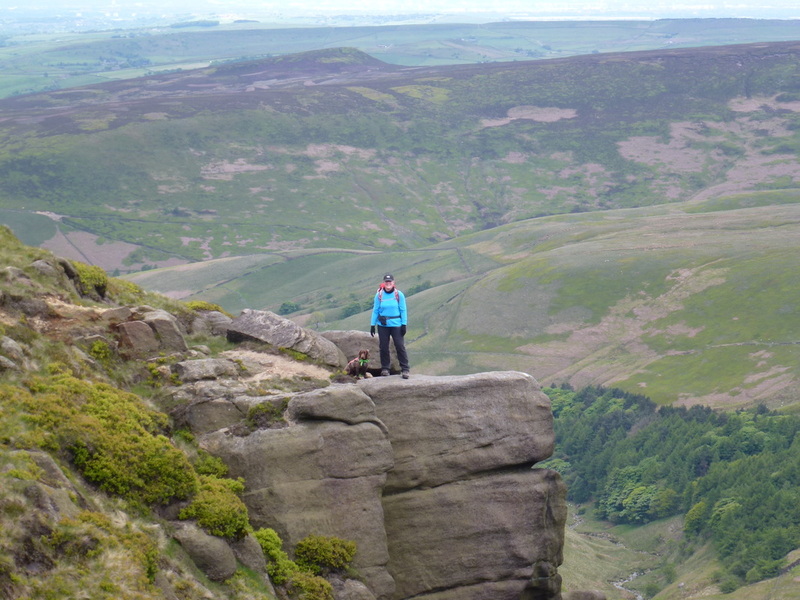 Therefore after a hearty full English, Jim at Torside kindly drove us out to Edale in order to start the walk. We would not be alone today. 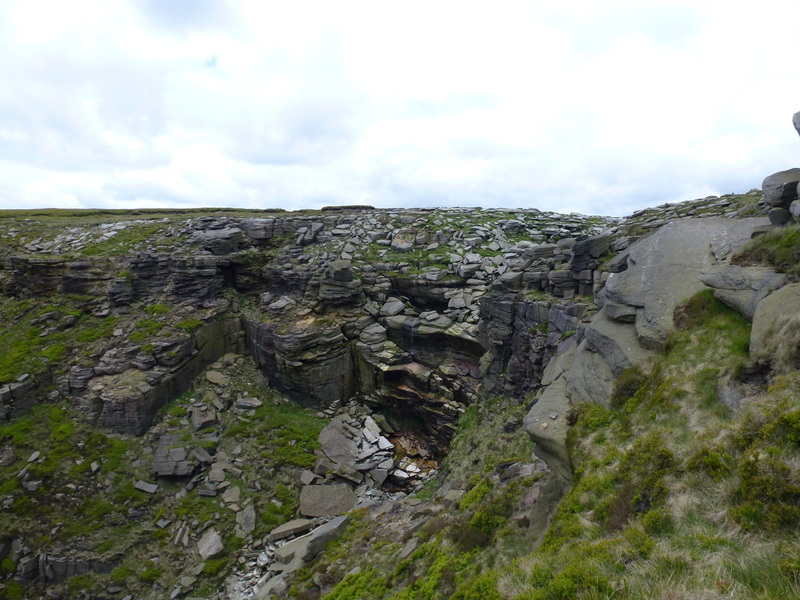 We had arranged to meet two friends, one of which (Howie) would walk with us as far as Kinder Downfall and another (Chips) who would accompany us for the first two days. It was really good of these guys to start off with us and we thoroughly enjoyed their company. 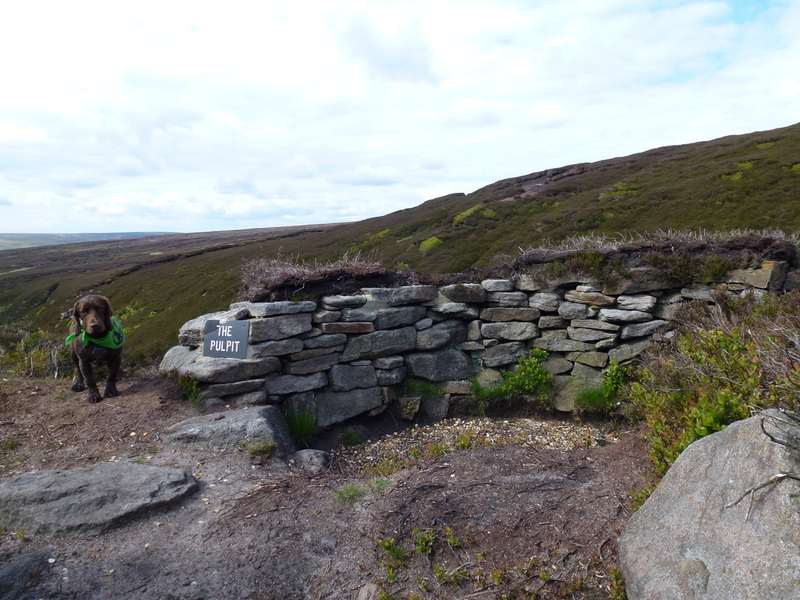 On completion of the usual pre start photographs it was time to get on our way and begin what we hoped would be an enjoyable and incident free 3 week walk up the backbone of England - in this the 50th year since the trail opened in 1965. Can you spot the spelling error? Who on earth proof-read the sign before it was cast?? 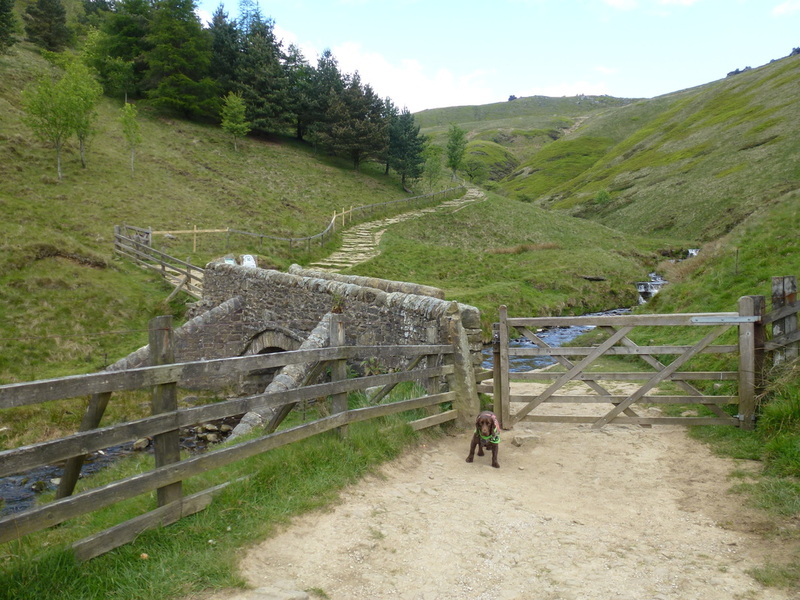 The Pennine Way crossed the packhorse bridge and headed uphill steeply along Jacob's Ladder. 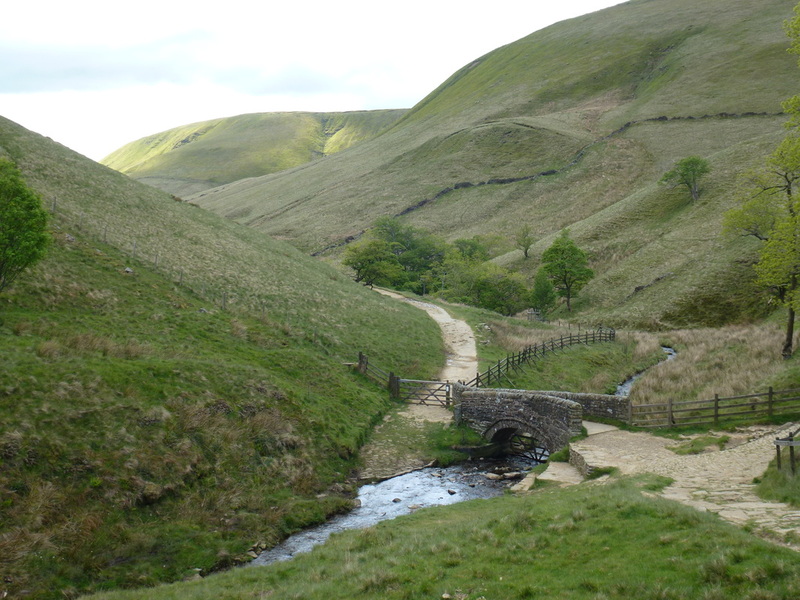 In the late 18th century a man called Jacob Marshall occupied Edale Head Farm, the ruins of which are just up from the bridge along a track heading west. 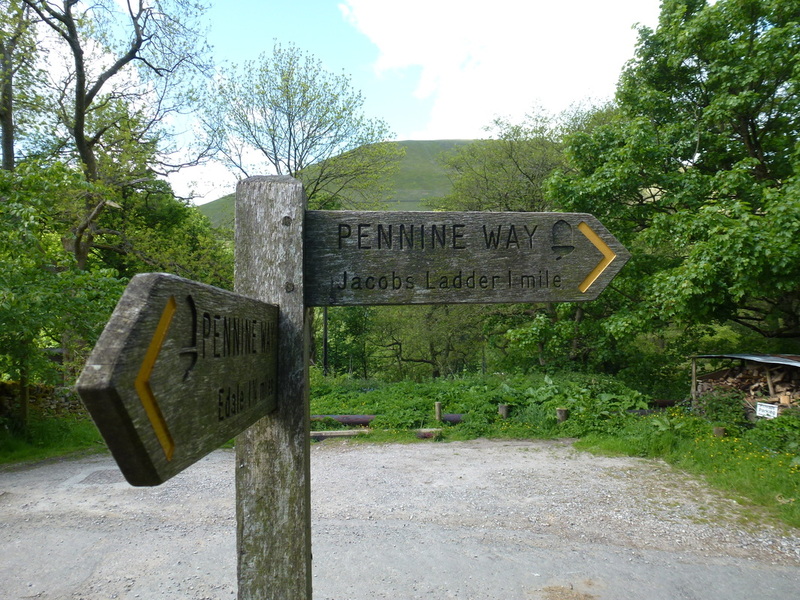 He kept a small enclosure for packhorses to graze in and is credited with constructing the steep direct path up the hillside to give the Jaggers a respite while their horses took the longer zigzag route – hence the Jacob's Ladder name. 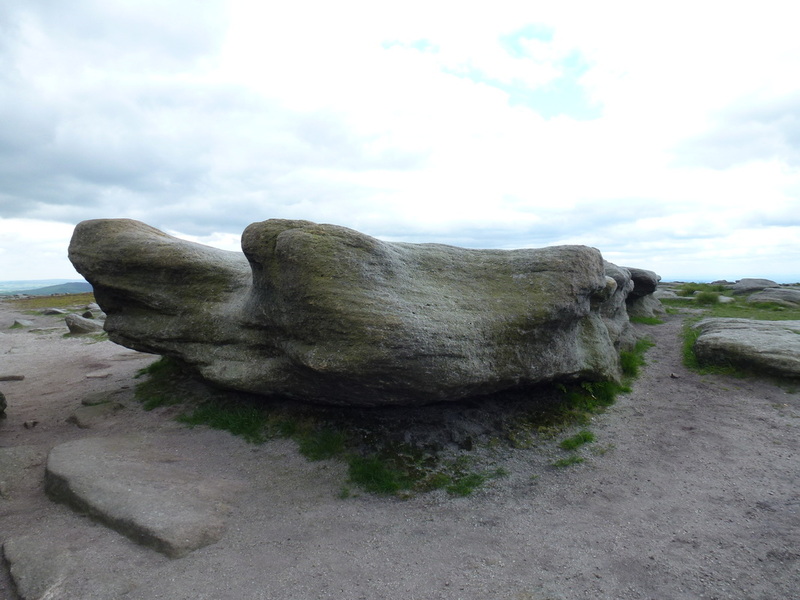 Chips at the Cairn on the summit plateau of Kinder Scout - the official summit is one of the many tufts of grass on the plateau. 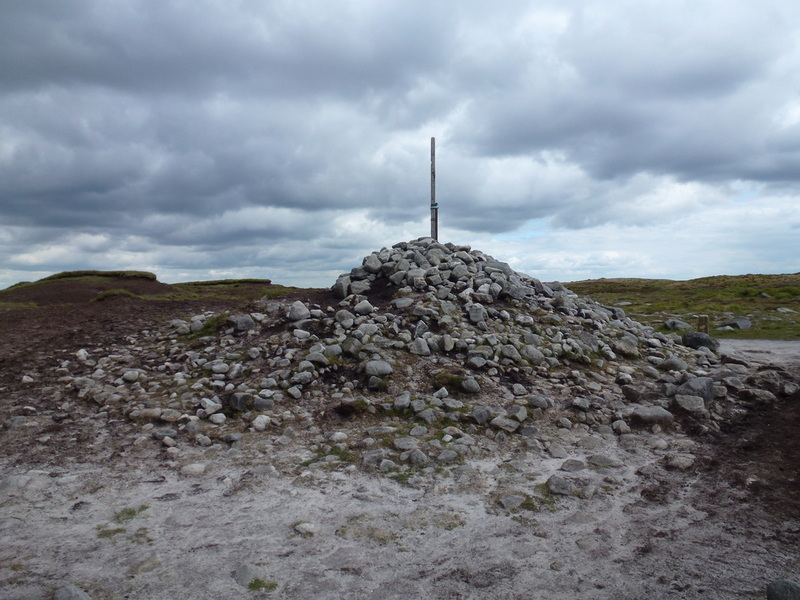 In April 1932 a mass trespass by ramblers took place here to highlight the fact that walkers in England and Wales were denied access to areas of open country. 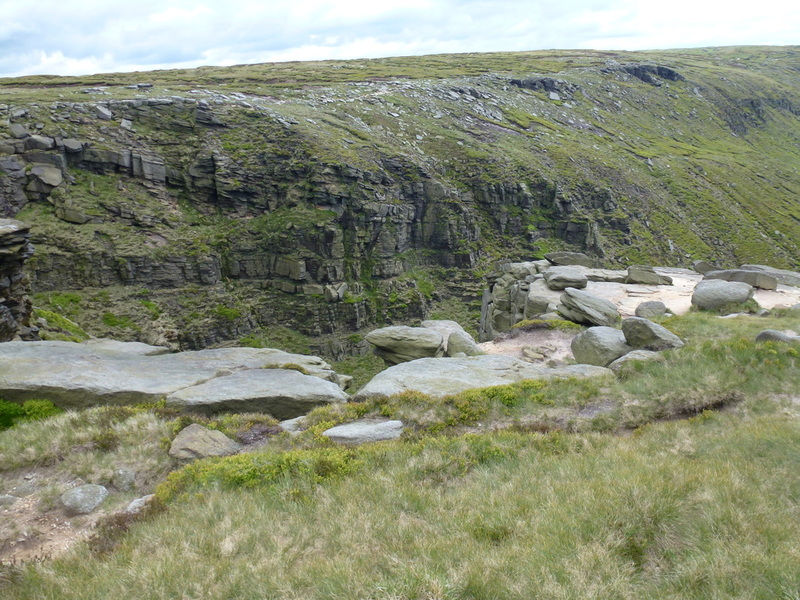 The trespass began at Bowden Bridge quarry near Hayfield and proceeded via William Clough to the plateau of Kinder Scout where there were violent scuffles with gamekeepers. 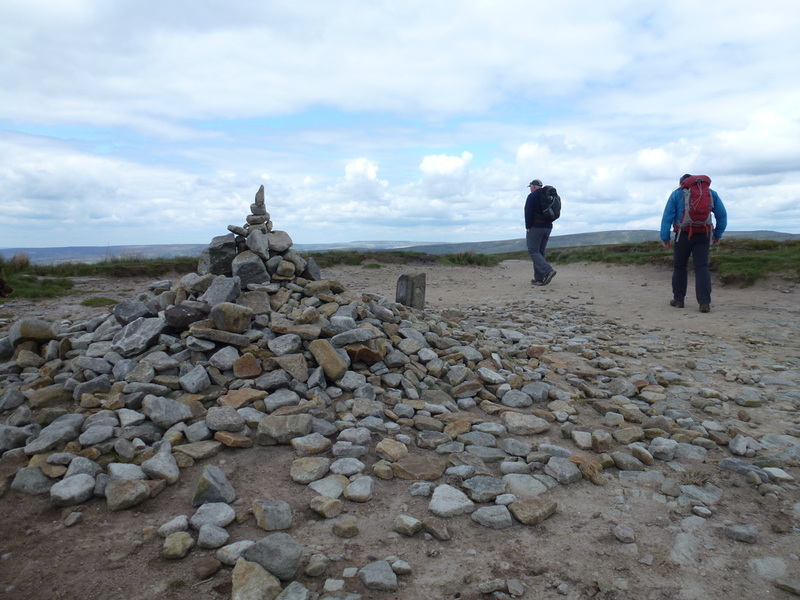 The ramblers were able to reach their destination and meet with another group. 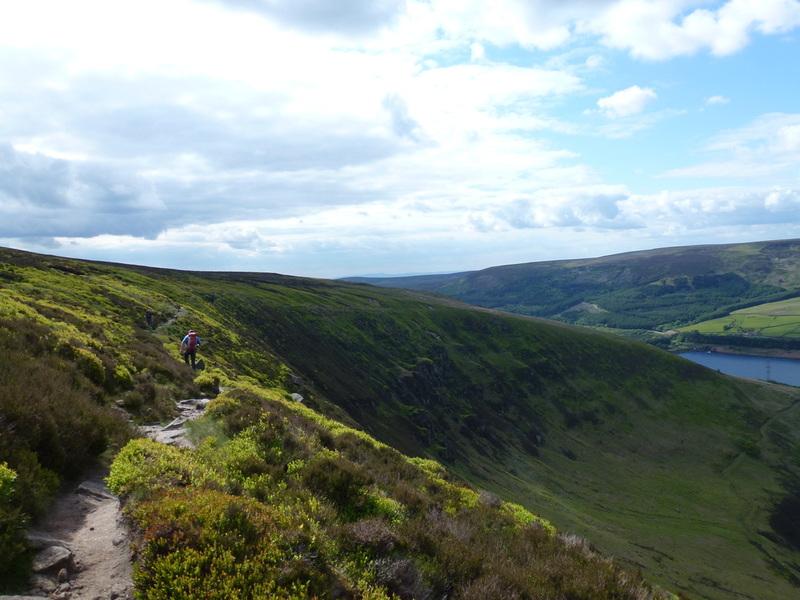 On the return, five ramblers were arrested, with another detained earlier. 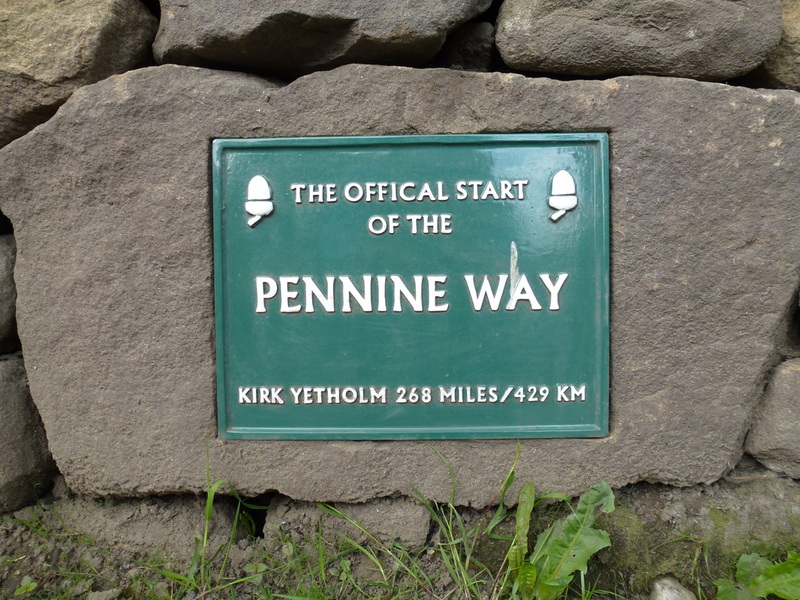 This act of civil disobedience was one of the most successful in British history and arguably led to the passage of the National Parks legislation in 1949 and subsequently allowing Long Distance Trails such as The Pennine Way to be established. 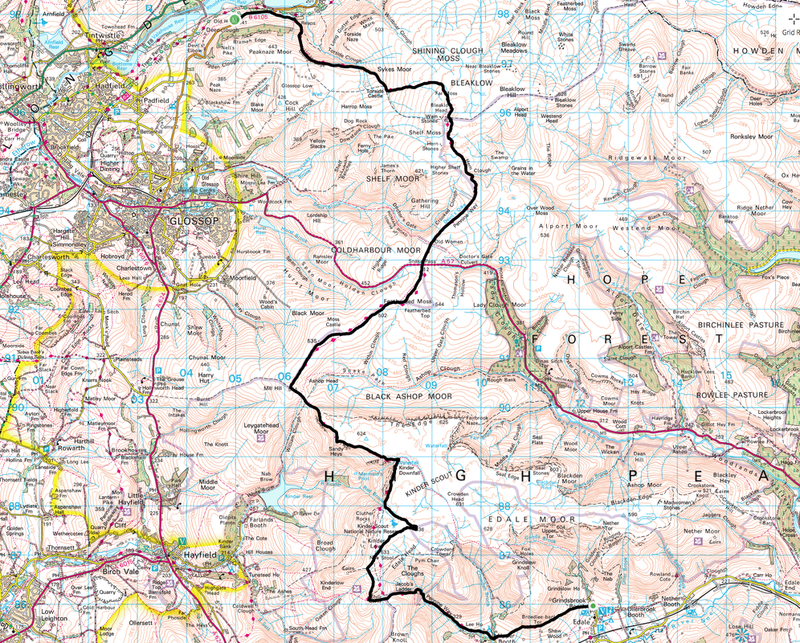 Walkers' rights to travel through common land and open country were protected by the Countryside Rights of Way Act being passed in 2000 and though controversial when it occurred, the 1932 Trespass has been interpreted as the embodiment of "the working class struggle for the right to roam versus the rights of the wealthy to have exclusive use of moorlands to shoot grouse". We have a lot to be thankful for. 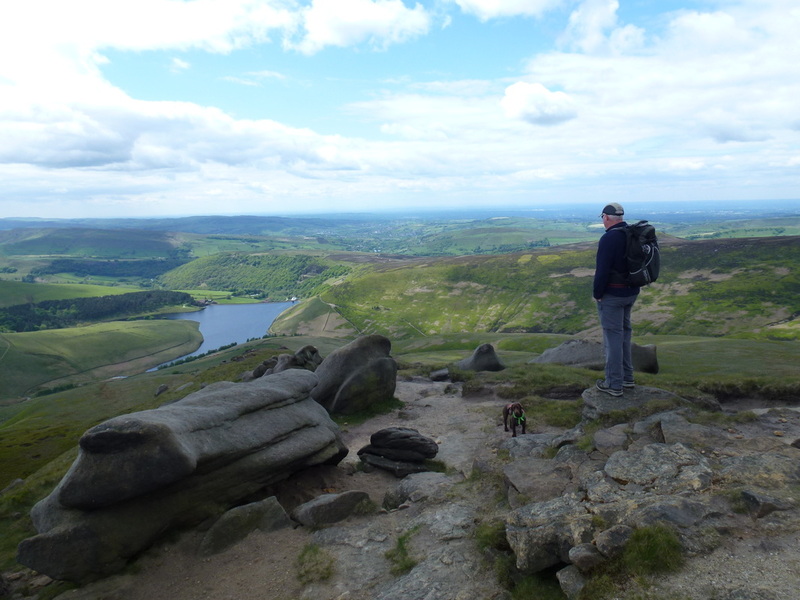 Leaving Kinder Scout we rejoined the Pennine Way to transit along a superb high level path to reach Kinder Downfall before saying goodbye to Howie who was heading back to Edale. 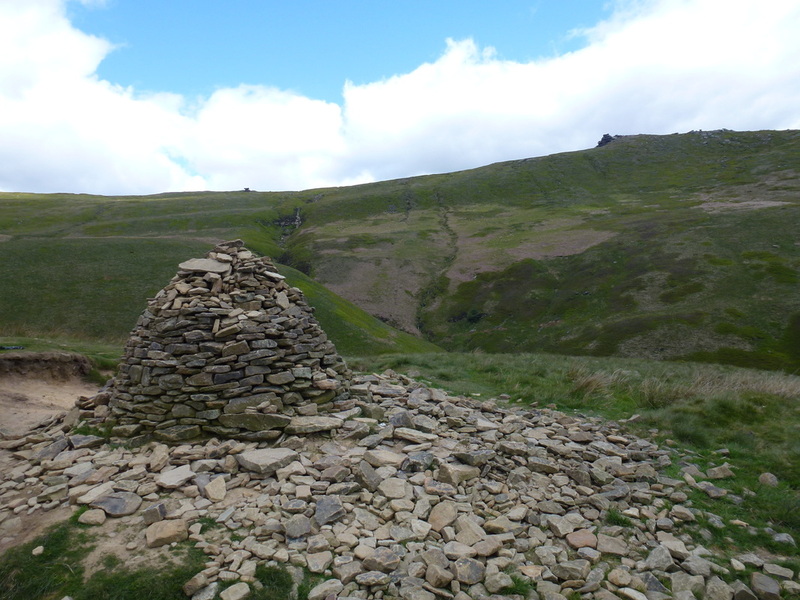 From the Downfall we were now going over new ground for us as we made the drop down to a col before an ascent to the summit of Mill Hill. 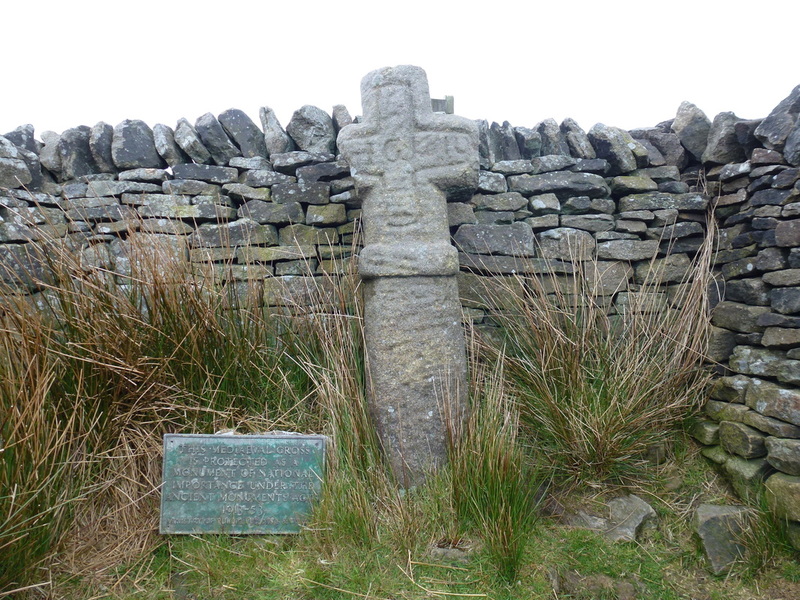 It is worthy of note that throughout the Pennine Way, the waymarking was spot on. 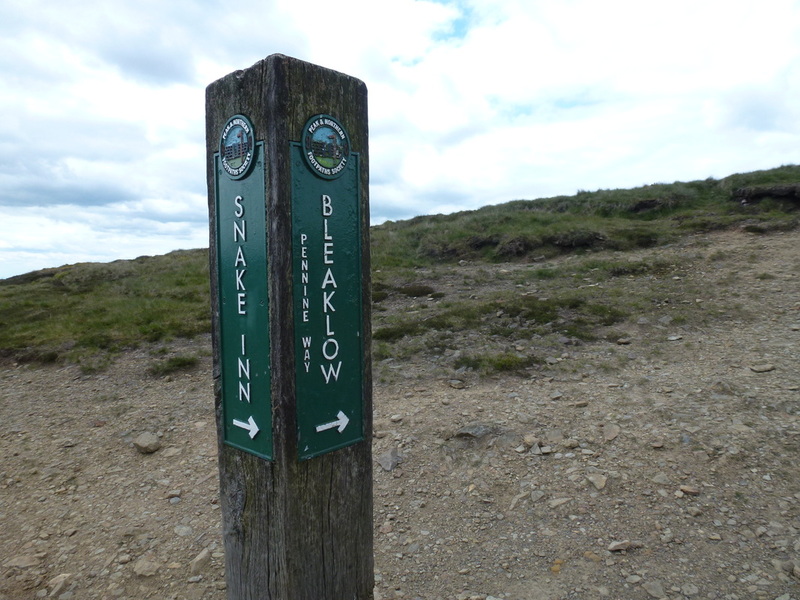 Whilst we carried the relevant OS Mapping for the day plus a compass, we were relying on both the excellent waymarking and the Stedman Guide (link here) for navigation and this proved to be sufficient for virtually the entire walk. In addition to the Stedman, we carried a GPS as a back up just in case and to record our data. 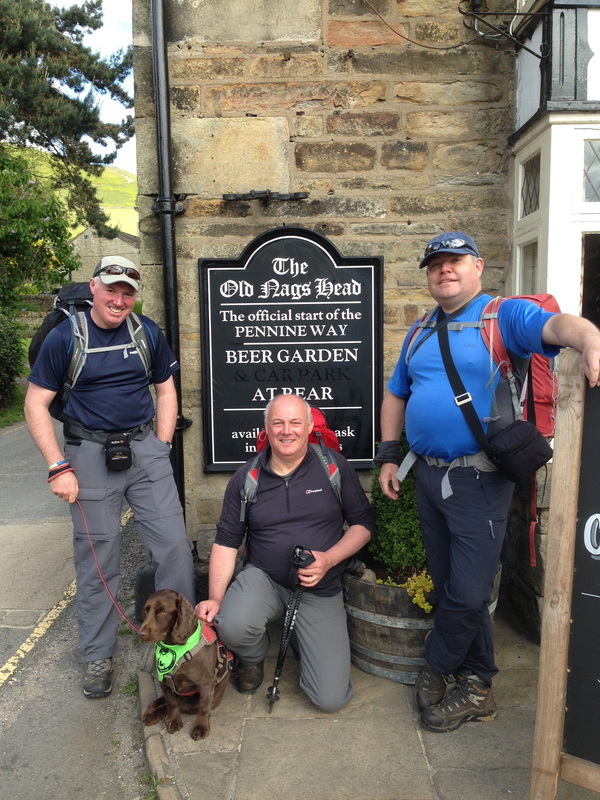 3 miles to The Snake Inn - we weren't that thirsty! 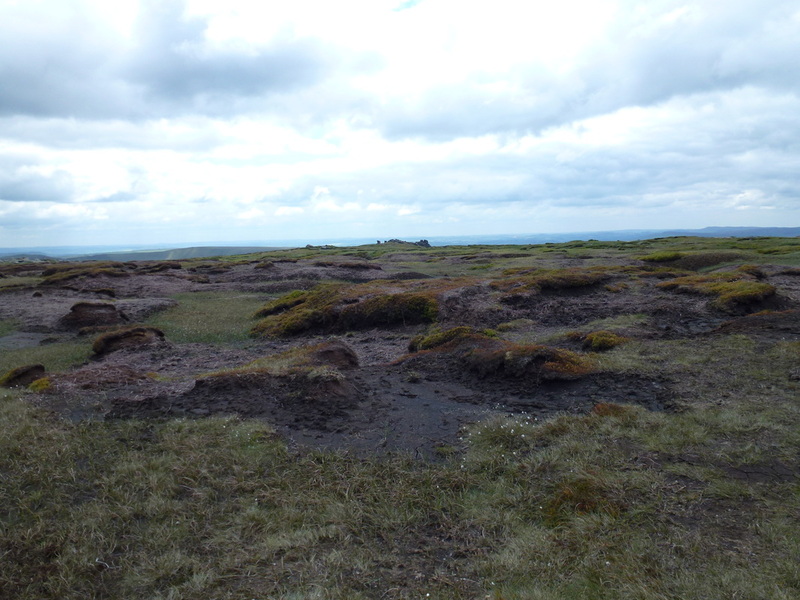 From Mill Hill there was now an easy and fairly level route over Featherbed Moss on a much welcomed slabbed path - thankfully the slabs were in place or the transit over would have been very different. Apparently the slabs were purloined from demolished cotton mills and put to good use over this notoriously boggy mass. 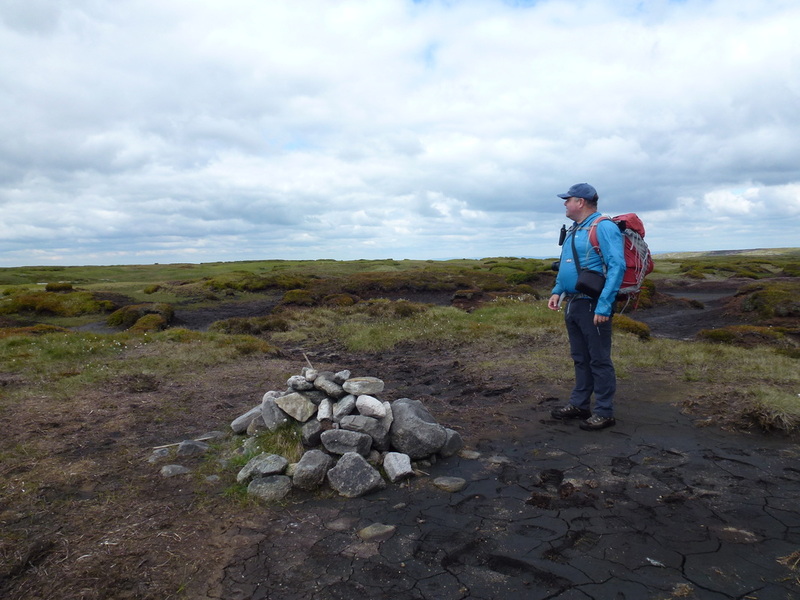 It is fair to say that despite the slabs this was a bit of a trudge over seemingly endless moorland but we had good weather and were therefore not complaining. 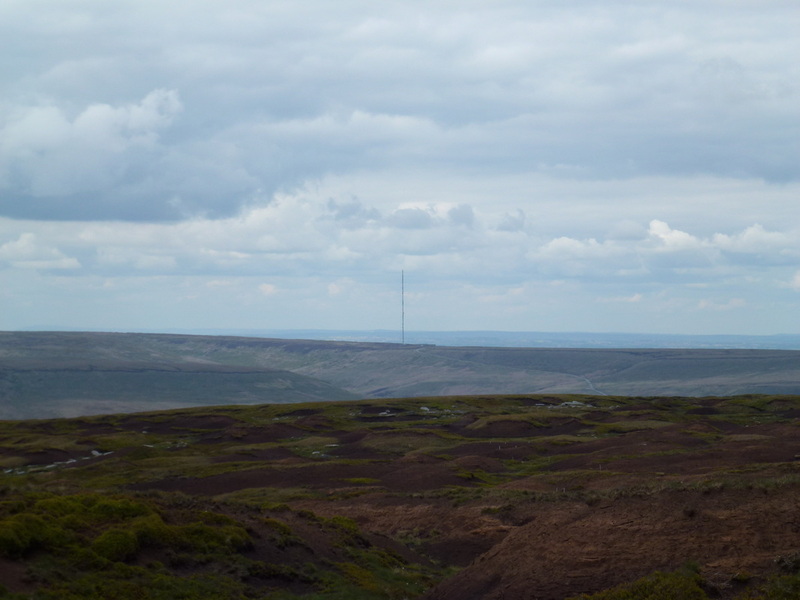 We finally reached the A57 which was very quiet as luckily it was closed for roadworks. 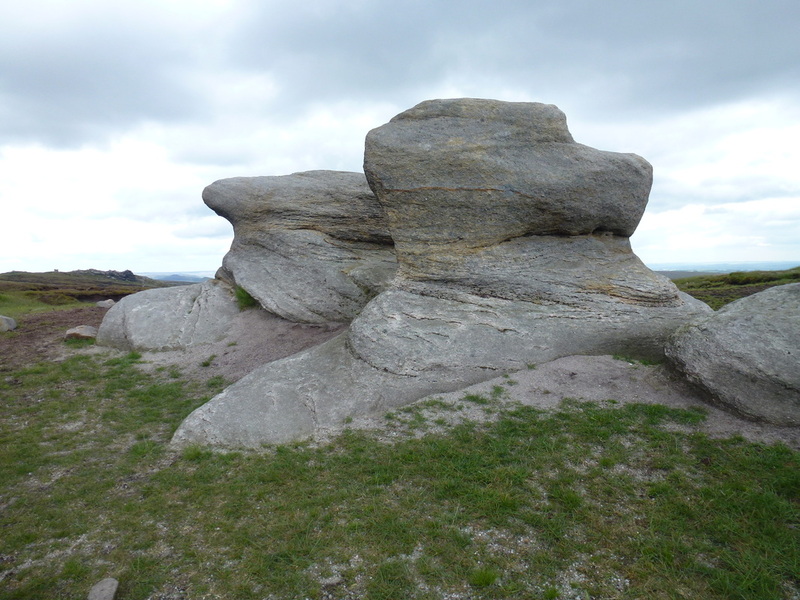 We crossed over to reach Doctor's Gate and the sunken lane of the Devil's Dyke which rose gently to reach Alport Low and subsequently arrived at the large expanse of rock, peat and grassy hummocks that is Bleaklow Head. 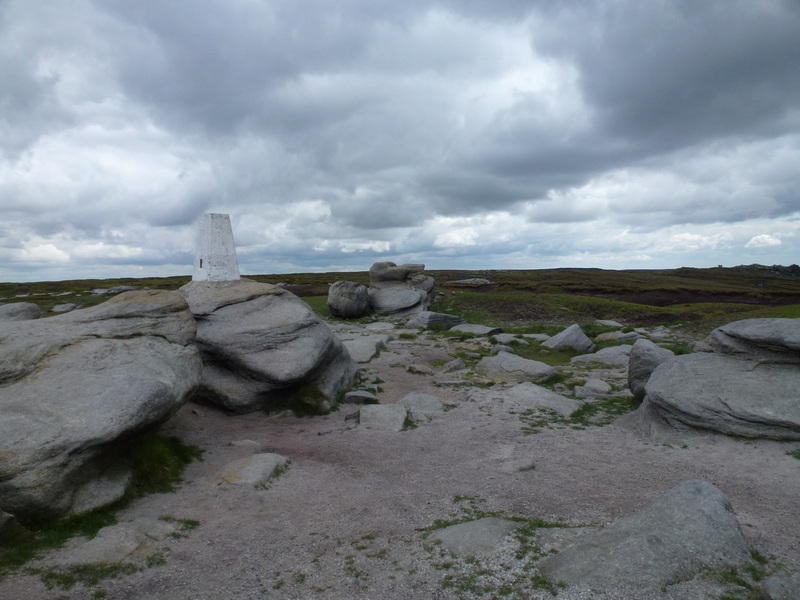 On a day of poor visibility Bleaklow can be a confusing place however today was clear and therefore the way off the hill was readily apparent - we simply followed the stone way marker which is beside the cairn near the summit. From here there are several paths and fences that could confuse walkers in mist therefore it would be best to be right on the nav at all times if the clag was down - no such issues for us today thankfully and we were able to enjoy the superb 3 mile walk, firstly alongside Wildboar Grain and then the high level escarpment trek along Clough Edge. 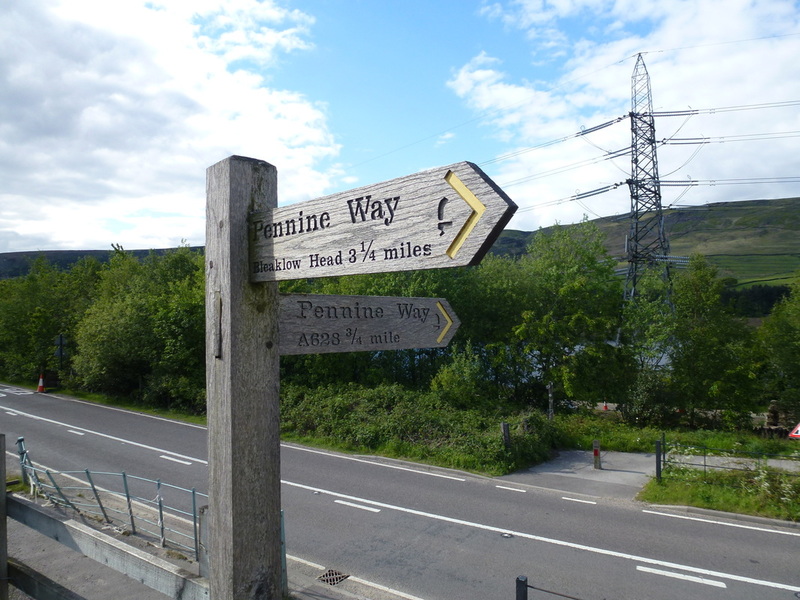 The latter gave us superb views down to Longendale and the Reservoirs beneath and we then descended gradually to Reaps Farm to join the track taking us to the B6105. From here we headed about half a mile left to reach The Old House and our digs for the night. ​Following a spruce up we adjourned the mile or so into Padfield to dine at The Peels Arms - good beer and food to be had here. 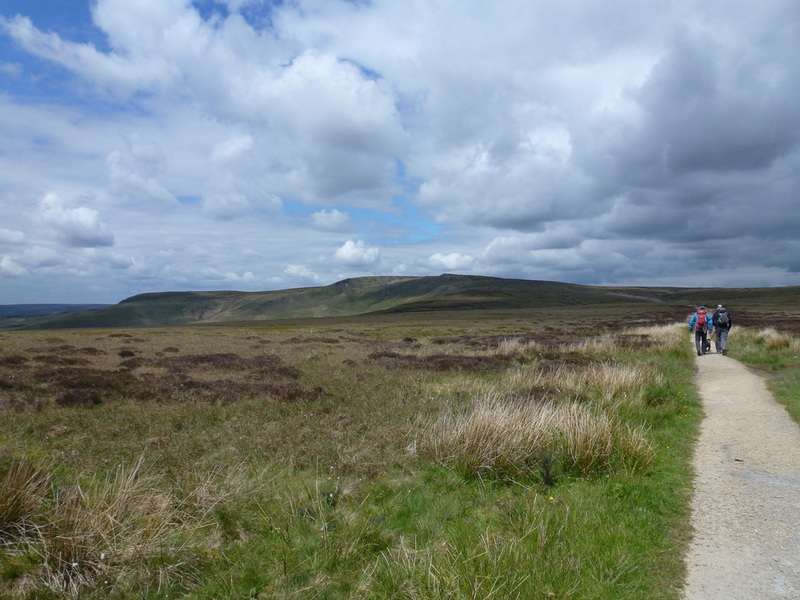 This had been a great start to the walk - we had good weather, the forecast for the next few days was looking good and our feet were in good nick. If today was the sign of things to come then we were in for a fantastic 3 weeks. We took advantage of a two night stay here. 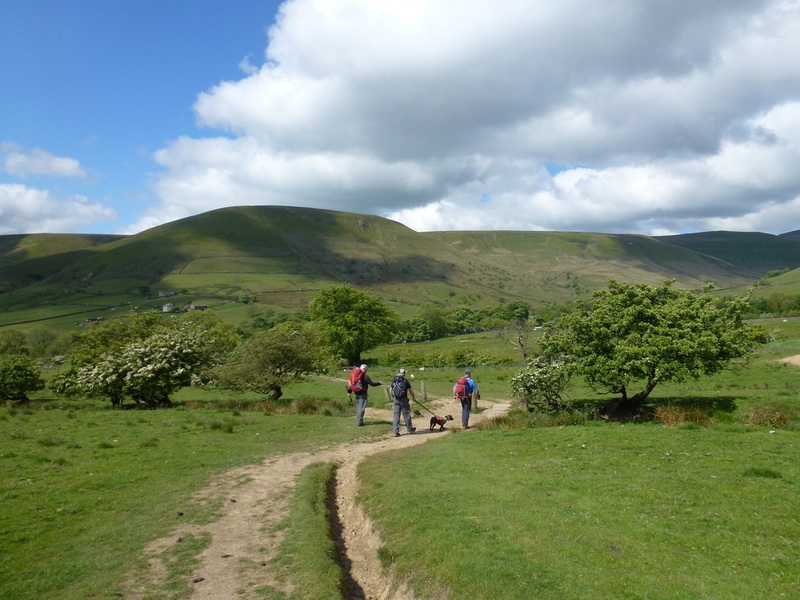 They provide an early breakfast and a drop off service to Edale. 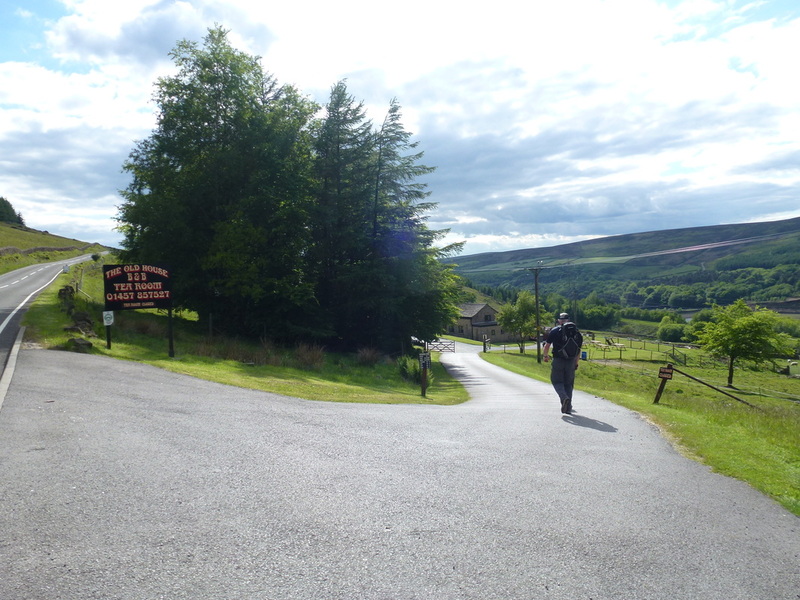 The B&B is about half a mile off route and was a very pleasant place to stay. 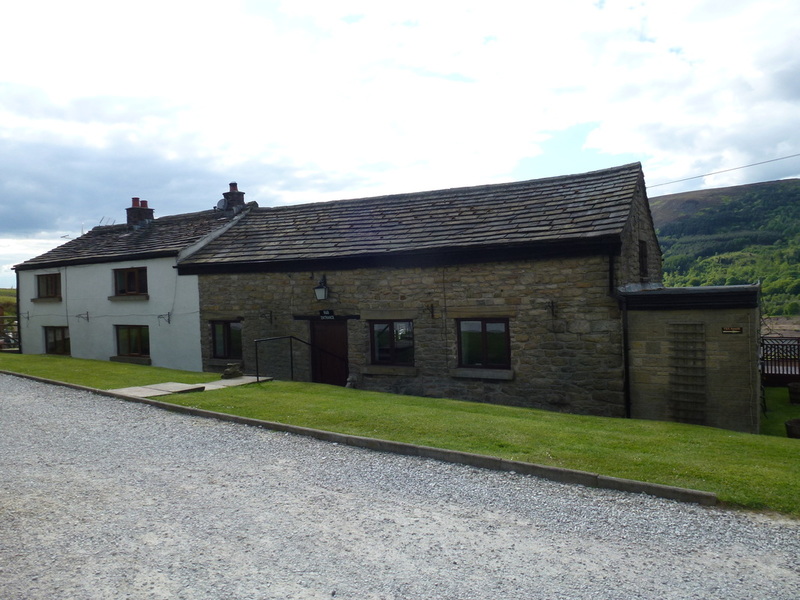 Both nights we ate very well at The Peels Arms in Padfield, a 5 minute drive away.